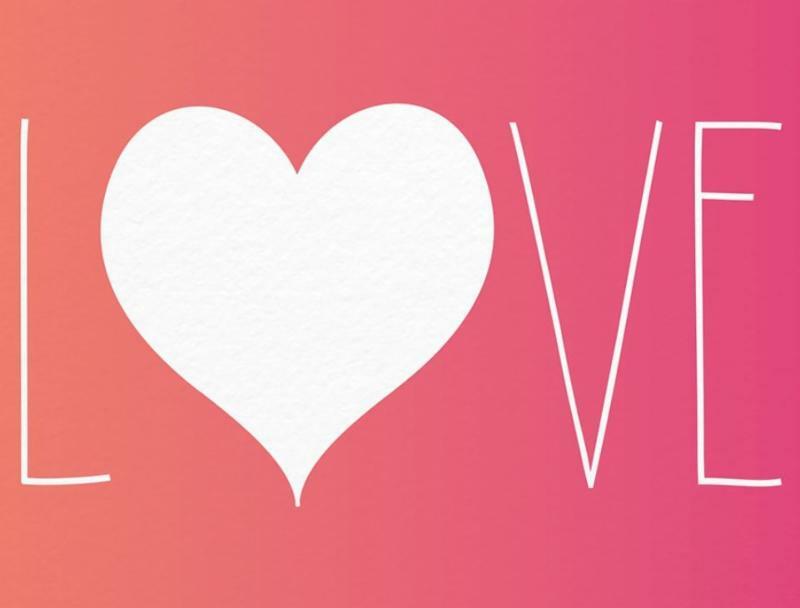 "THE GIVING OF LOVE IS AN EDUCATION WITHIN ITSELF." The BUTTERFLY BUNCH, MOUNTAIN BLUEBIRDS, and PEREGRINE FALCONS did a fantastic job last weekend at the First LEGO League, Jr. Expo! We are so proud of our fourteen LEGO League students for creating Creature Craze LEGO models and display boards together, and for speaking so knowledgeably and eloquently to many visitors who checked out the boards throughout the viewing time. To demonstrate and celebrate their accomplishments back at school, FIRST LEGO League, Jr. teams briefly presented their models at the Tecolote Tuesday meeting earlier this week. Read more about the experience and watch videos here. 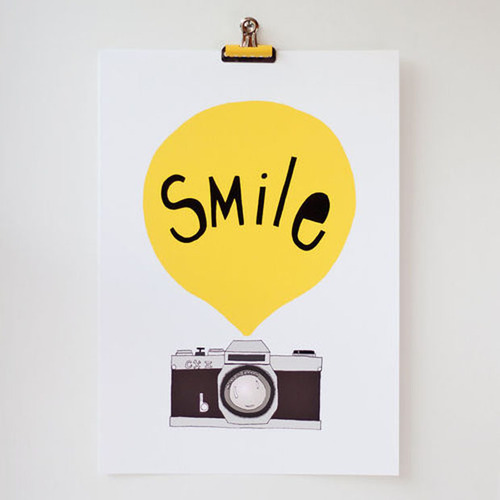 View photos here. Third graders, thank you for bringing innovation and collaboration to Carlsbad on behalf of Laguna Blanca! 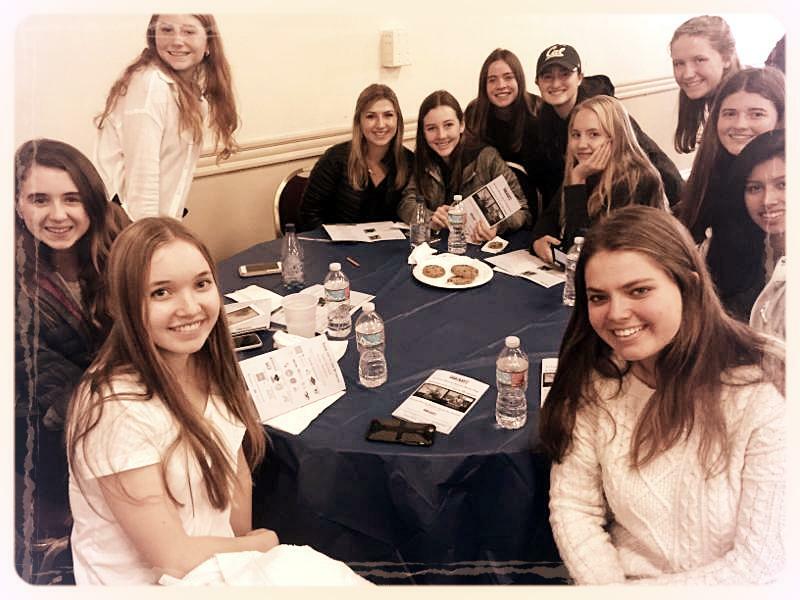 The Santa Barbara Athletic Round Table hosted a National Women in Sports Day Luncheon at Earl Warren Showgrounds on Monday, February 6. 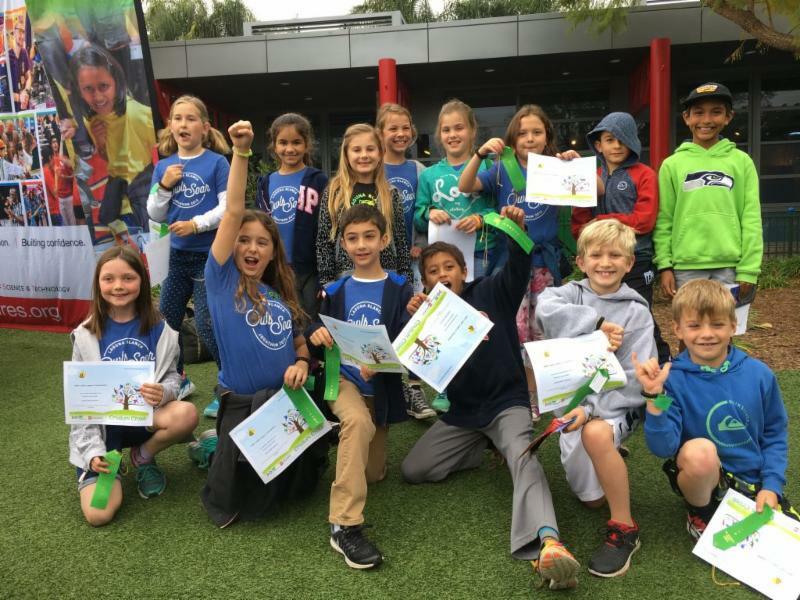 National Women in Sports Day celebrates girls and women in sports around the country, and this luncheon was specifically for those in Santa Barbara County. Keynote speakers included two local women who are fresh off competing in the Rio 2016 Olympics. Way to represent Women in Sports, Laguna athletes! Congratulations to Christian Branch '20 for receiving Honorable Mention Athlete of the Week this week. 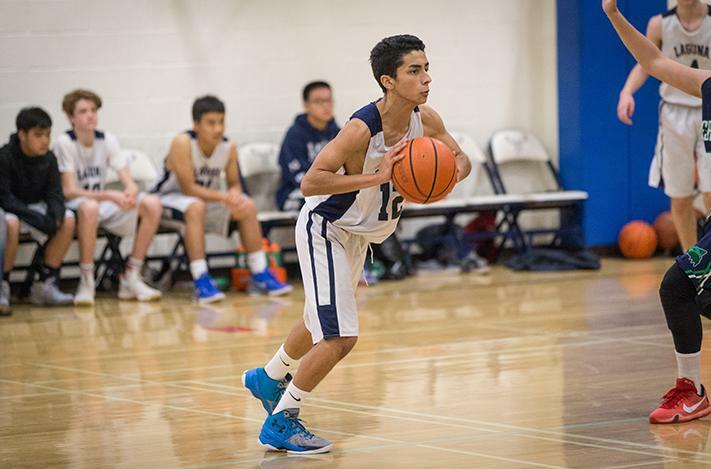 Last week, Branch scored 32 points with eight three-pointers during the Condor League boys basketball game versus Midland. Enjoy this clip of Christian making quite an impressive shot! 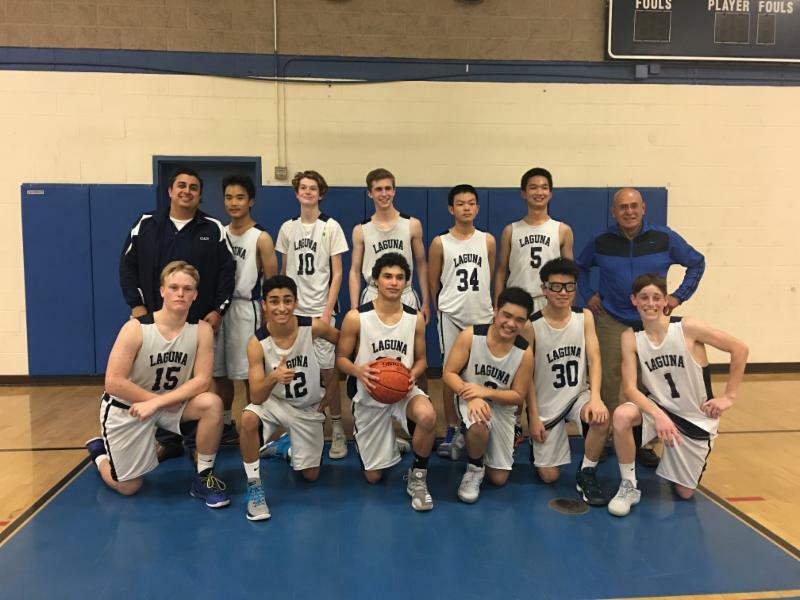 Laguna Blanca won its third straight game, beating Ojai Valley 59-44 in a Condor League basketball finale on Wednesday. Junior Jackson Hurley led the Owls with 19 points, scoring 12 in the first quarter. Junior Aidan O'Donnell chipped in 15 points to help carry the load. Beloved Storyteller Michael Katz has shared his talent with Laguna students for over a decade. A storyteller since 1984, he has been featured at such illustrious locations as the openings of both the Los Angeles Getty Center and the Disney Concert Hall. He is the host of the NPR radio storytelling program Katz Pajamas and was the founding Artistic Director for the Flying Leap Storytelling Festival in Solvang, California. 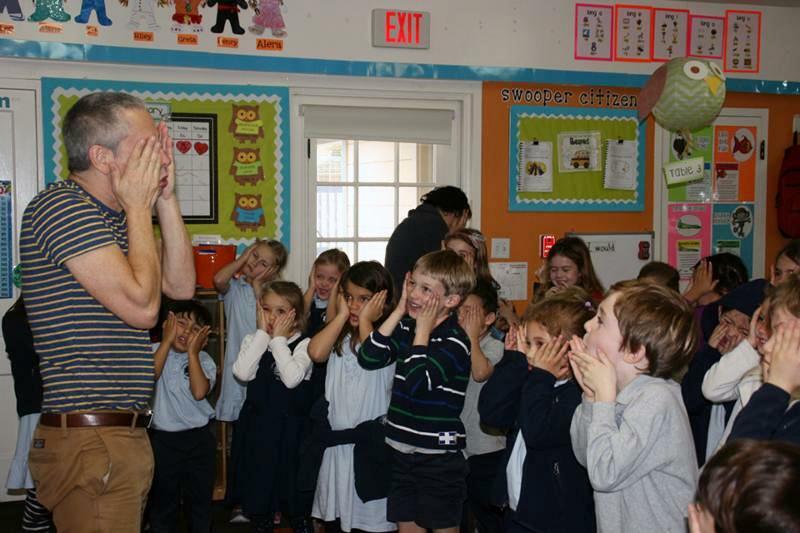 Lower School students enjoyed his storytelling residency this week, which included in-class workshops for the second, third, and fourth graders, and assembly performances for all grades. Michael's workshops are based around language and theatre arts and cover reading comprehension, theatrical movement, storytelling rhythm, sequencing, vocal projection, eye contact, and so much more! Ask your children today what they learned from Michael Katz! On Wednesday afternoon, eleven community groups came to the Lower School to offer a variety of engaging science activities for students and families. Hands-on activities included a navigational treasure hunt with a compass, building a flower and pollinator, matching radiographs to animals and watching a live ultrasound of the heart of Max the dog, holding a sea star and sea urchin, watching water and pollutants flow through a watershed, viewing leaves through a microscope, looking at various rocks from space, and learning about reptiles (and maybe even holding the boa!). Thanks to Lower School Science Instructor Clara Svedlund for organizing and facilitating t he Family Science Discovery Event, and thanks to everyone who participated and attended. Click here for event photos. 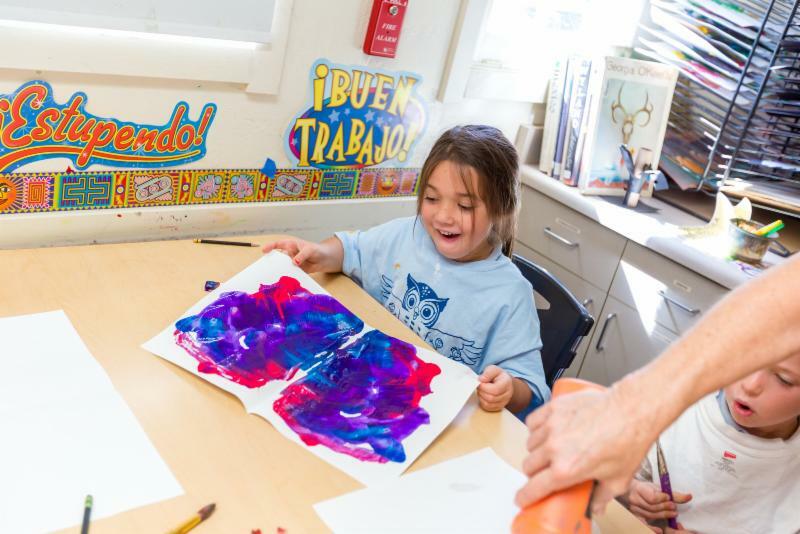 Laguna parent and artist Masha Keating recently shared her talents with our Lower School students and co-created art pieces for our spring benefit silent auction. 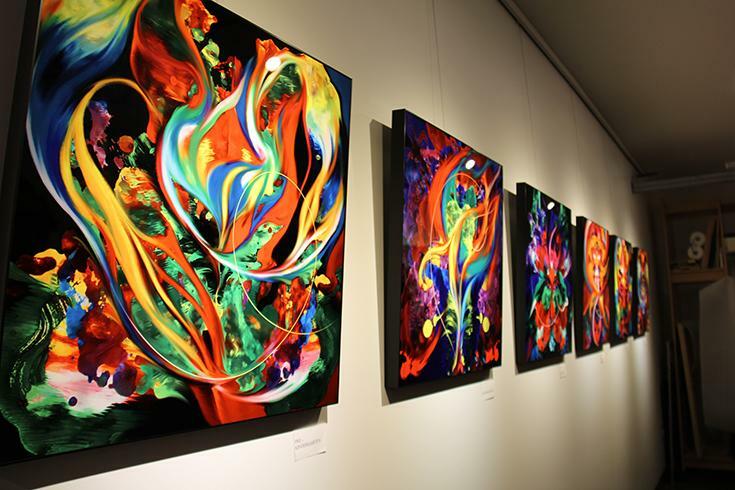 The spectacularly vivid pieces were available to preview on Wednesday evening at the Art and Wine Preview Party at SBCast. Earlier this week at the Parents’ Auxiliary Lunch & Learn event, Masha shared her story about emigrating to the United States from Russia when she was just 13 years old, and explained how that journey was nothing compared to the one she has taken through her own artwork. In the past 20 years, she has found—and re-imagined—herself through both oil and digital painting. Her story is powerful. 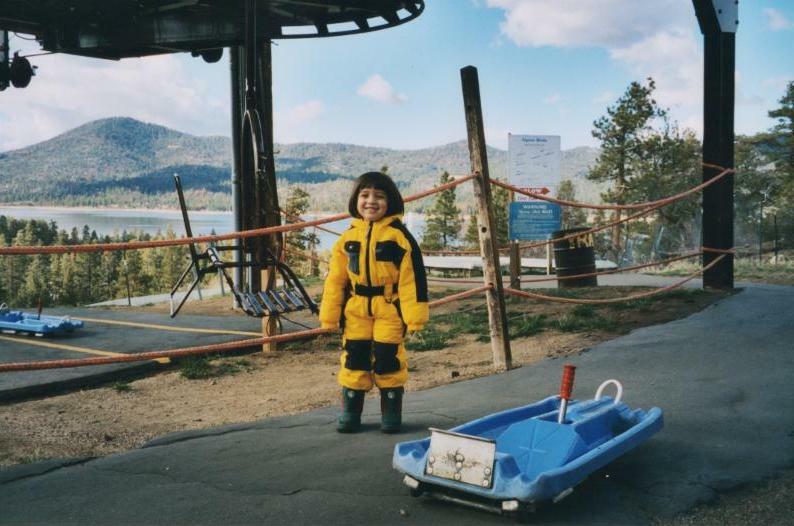 It includes influences of family, strong mentors, and shifting her creative process. For the student art fundraiser, Masha created a combination of real and digital paintings, applying her digital techniques to photos of existing paintings made by the students in Grades EK-4. Each child created a Rorschach print by spilling the paint on paper and folding the paper in two. “It was so exciting for them to unfold the paper and discover what surprising image awaited inside,” explains Masha. Masha also shared with the children how sometimes art is about removing your control and allowing the process itself to create the work. After collecting photos of everyone's work, Masha digitally combined the images from each class into one 24x24 inch composition per grade, then added some digital manipulation and painting of her own. The end results will be up for bid at the spring benefit on March 11. In addition to the student pieces, Masha is donating one of her own works of art—Sky Dance, digital painting on metal, 18x36 inches—to be auctioned at the event. Last week, Laguna said goodbye to Spot, a ball python pictured above at left (photo circa 1997). 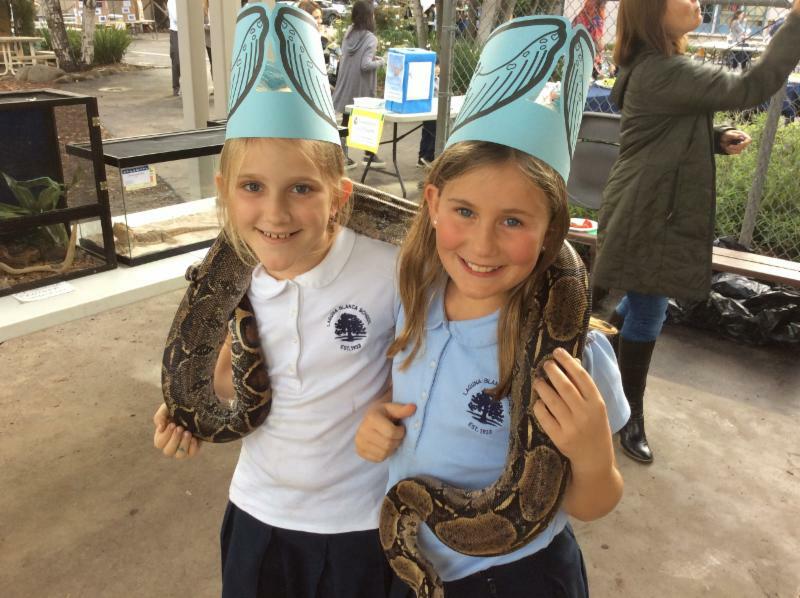 This reptile friend slithered into the hearts and hands of the Laguna community twenty years ago. In fact, Science Instructor Mr. Neustadt received Spot from a student the year Blake Dorfman '02 (now LBS English Instructor) was in the seventh grade. Spot will be long remembered for her occasional escapes and the celebration each time she was recovered! She went missing again in late November and reappeared a few weeks ago near the classroom door. Sadly, she died shortly after her return. Spot will live forever in our hearts. She leaves behind Carl, a 5-foot gopher snake who has called Mr. Neustadt's science classroom "home" for the past 15 years. 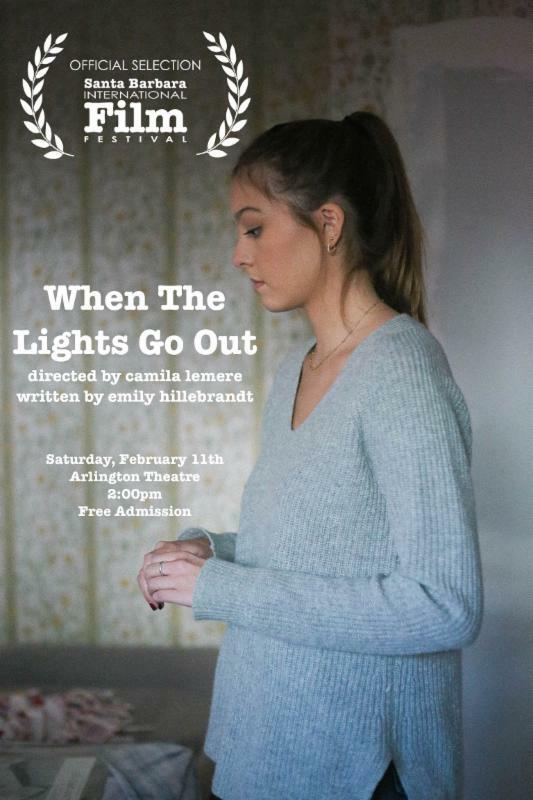 Be sure to check out Camila Lemere's '18 short film, When the Lights Go Out, at the Santa Barbara International Film Festival 10-10-10 Screening this Saturday, February 11 at the Arlington Theatre at 2pm. FREE ADMISSION. Early arrival recommended. The film is about a family of four moving into a house that is under renovation. Avery, the eldest daughter, is having trouble with the move and with her family. The film tells the story of how she deals with those struggles through finding independence but also realizing that she needs her family. Best of luck, Camila, on your big debut at this prestigious local film festival! SPRING BENEFIT SNEAK PEEK--LIVE AUCTION ITEM! Joyful Noise Lodge is generously being offered to the Laguna community just in time for Spring Break 2017. Your choice of Saturday, March 25 – Saturday, April 1, 2017 or Saturday, April 1 – Saturday, April 8, 2017. 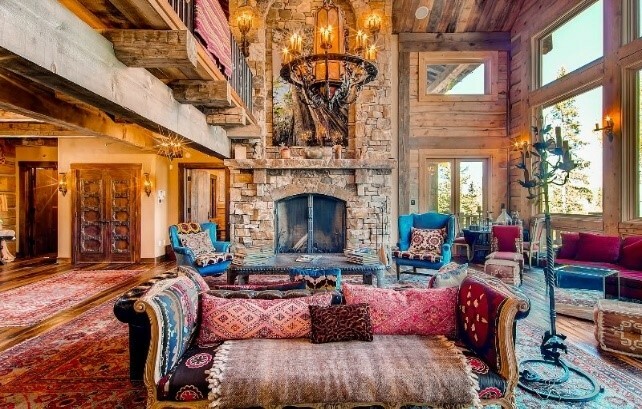 This is a unique opportunity to stay at this incredible custom designed mountain ski-in / ski-out retreat. Ideal for families, friends, and multiple families. 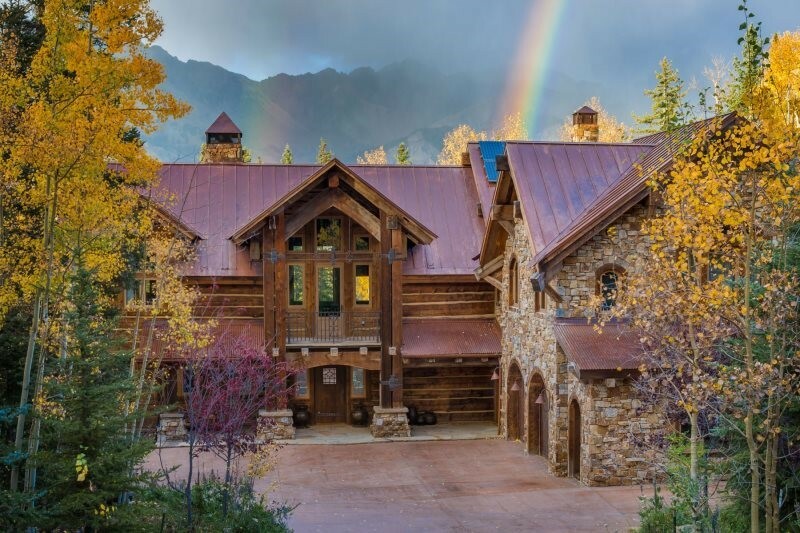 This amazing stay at Joyful Noise Lodge is just one of the incredible Live Auction offerings at our Spring Benefit on Saturday, March 11. Come ready to raise your paddle! 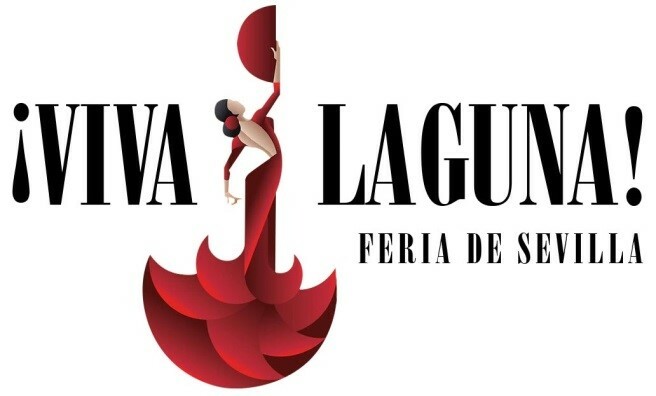 iViva Laguna! 1. More great items are still needed… We are looking for generous donations of items such as: sporting event tickets, concert tickets, vacation destinations (near and far), cabins & condos, fine wines, rounds of golf, behind the scenes experiences, jewelry, art, and anything special. Donations forms are online. Please deliver donations to Braun House or the office on either campus. 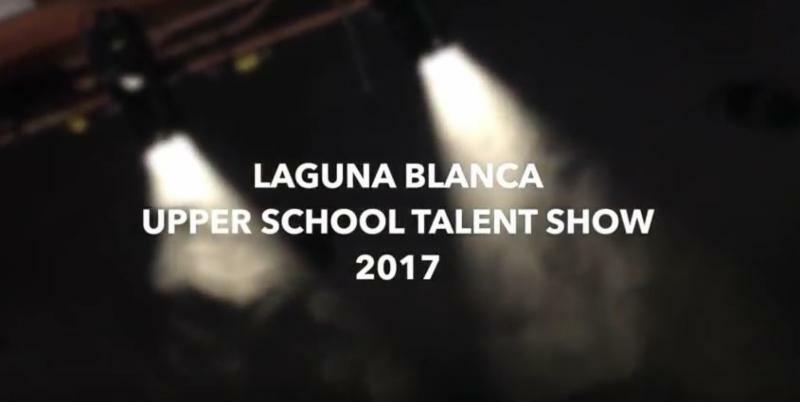 With every donation that is brought in, your name will be entered for a chance to win a guest room on the night of the event at the Bacara Resort and Spa. There is no limit to the number of times your name can be entered. The deadline for submissions is Tuesday, February 21 at 5pm. The drawing for the hotel room will take place at our committee meeting on February 22 at 8:30AM. 3. 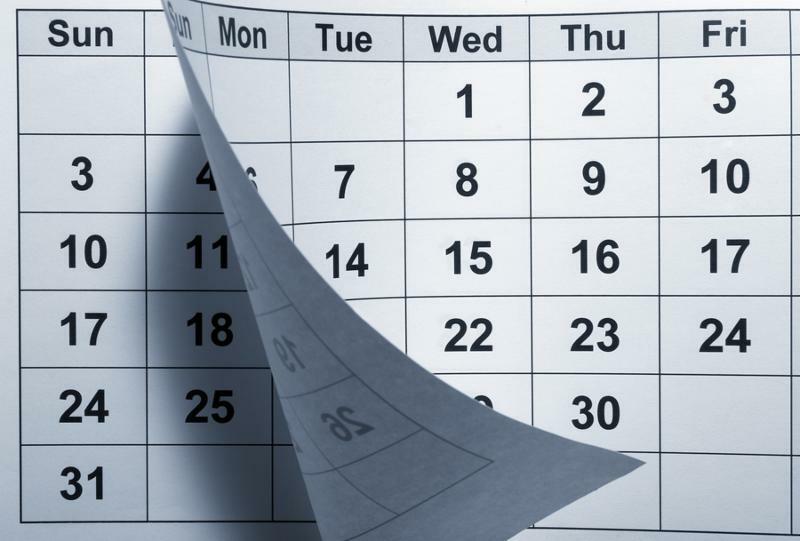 Attend a committee meeting at 8:30 at any of the following meetings… It’s never too late to share your ideas and talents. 4. Make plans to attend the event on Saturday, March 11! Invitations will be mailed next week. Tickets are available online. Formal Spanish-inspired attire is encouraged. QUESTIONS? Please contact event co-chairs Belle and Bert Regeer or the development office. Please mark your calendars for the evening of February 27. The show begins at 6:00, but arrive at 5:30 to be sure to get a seat. Cover charge is $5 for students and $10 for adults with ALL proceeds going to Hands4Others. 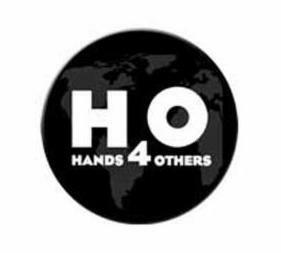 For more information, visit H4O or SOhO . Congratulations to the winners of the Spring Benefit ticket raffle held at this week's Lunch & Learn: Barbi Zimmerman and Don Sabino. Both winners generously donated their tickets to faculty and staff.